Sick of manually organizing your messages? Microsoft’s on the case, apparently testing its Focused Inbox feature in Windows 10’s Mail app. The story behind the story: Although Microsoft appears to be testing this feature in the Mail app it’s not clear when all users will see it. It’s likely this feature will not roll out for some time unless Microsoft plans to include it as a built-in feature for the Windows 10 Creators Update this spring. 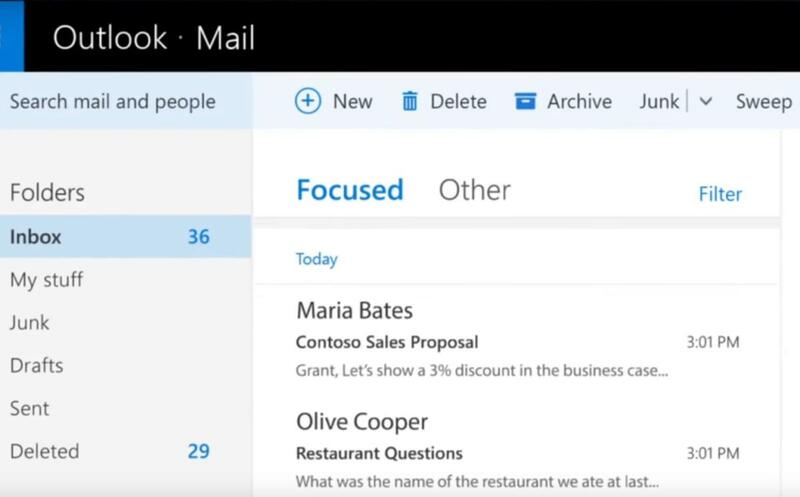 In addition to the Windows 10 Mail app, Focused Inbox will eventually land on Outlook.com, Windows 10 Mobile, Office 365 online, and Office 365 subscribers on Windows and Mac. There are no clear Focused Inbox launch dates for Windows 10 home users, either, though it may begin around the same time or shortly after the commercial release dates. The one exception to that is Outlook.com, with all users scheduled to get Focused Inbox by April.